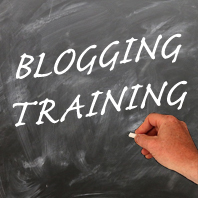 Would your blog benefit from some Blogging Training? A throughly technical guy who already has a few already under his belt. He probably finds the whole process of creating a blog a bit of a doddle. 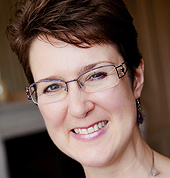 An adventurist who has been tempted by the idea of a blog. She does a bit of research and happily gets stuck in with the most accessible version. A total beginner who quakes at the word ‘blog’. She knows it something they should try because they have been told it will be good for her. And, as I said on my homepage, I also focus my blogging training on starting at the beginning, the Level 0 of blogging. This is because I believe if you have a good foundation in understanding how something works, it makes your life a lot easier as you progress through your blogging journey. I am naturally curious (i.e. I’m not afraid to click on something to see what happens). So I have investigated what I think is important (and some things that aren’t) to find out what they do and whether it is worth bothering with. And then I create my easy-to-understand blogging training tutorials to show you in the easiest way possible how to do blogging and explain how it will affect you and your blog. These tutorials will be found on my Beginner Bloggers blog. This will become your safe haven for learning about all things blogging. It’s also a good place to browse through the posts there, as I’m sure you’ll find answers to any questions you may have. And of course my posts on this blog, as over the past 6 years or so I have written on a myriad of blogging subjects. You’re bound to find something useful there. Just use the Search mechanism at the top of the sidebar.